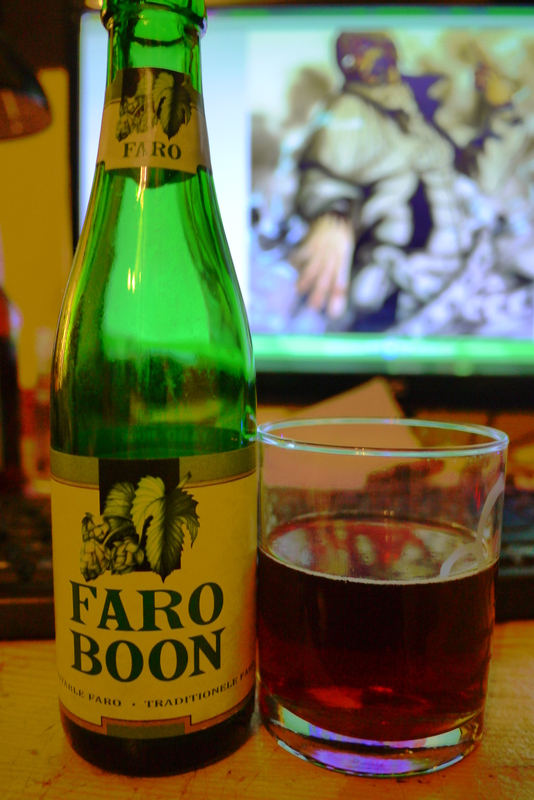 Faro Boon. Boon Faro. One is the name of the drink. The other the name of the brewery. Standing at 5%. This lil thing I expected to be super sour, from the aroma, visual and random guessing. But its actually tasty. And it has gone down quite fast. The aroma is sweetly sour, slight malt and apple like. Wouldnt say that the taste is tarte though, more like crunchy apples sweetness. I actually like the sweetness of this drink. Very soft carbonation, perhaps too much and lends itself to being even more like apple juice. The aftertaste is very similar to the normal taste but does deteriorate and leave you wanting another sip. This is a remarkably simple drink, like apple juice, with no complex notes or taste. Cant imagine many people loving this drink to be honest. Glad I tried it though.